Where service, infrastructure and community meet! Over 145 acres on the 401 corridor are waiting for you. Zoned a combination of highway commercial and industrial, this is your opportunity to take advantage of the traffic and people traveling along Canada’s busiest highway. Dutton Business Park is strategically located in Southwestern Ontario with immediate access to the 400 series highways, providing you with direct access to the Buffalo and Detroit borders, as well as major airports in London, Toronto and Detroit. Dutton Business Park has the infrastructure you need to make your business a success. With water accessible from nearby Lake Erie, reliable natural gas and state-of-the-art fibre optics, the Dutton Business Park is move in ready! Take advantage of the full range of services available to you at the Dutton Business Park. Lots include flexible configurations and sizes. Zoned industrial and highway commercial, Dutton Business Park is ideal for any size or type of operation. A community serviced by clubs, day-care facilities, long-term care facilities, a community centre, swimming pool, reference library and access to the Trans-Canada Trail. Dutton Dunwich is a great place to raise a family and build your business! Located 20 minutes west of London and two hours from the border, Dutton Dunwich enjoys the beneﬁts of small town living with convenient access to major US and Canadian markets. The Dutton Business Park is an ideal location to grow your business, with immediate access to the 400 series highways and access to full services including sanitary sewers, water mains, natural gas, hydro and State-of-the-art ﬁbre optic and telecommunications services. Lots include ﬂexible conﬁgurations and sizes that are ideal for any size or type of operation. 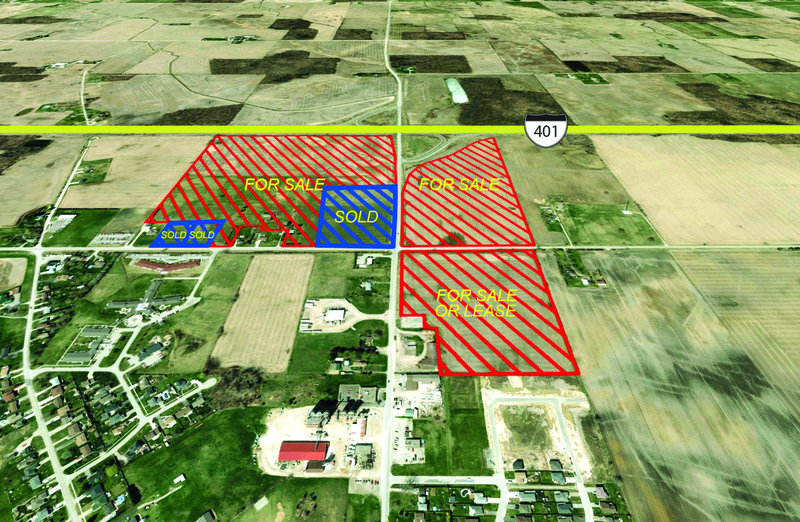 Just south of the Business Park is Highway 3 providing additional access to markets across Southwestern Ontario. Elgin County offers a number of services to assist business growth. Business consulting and loans are available from the County’s satellite ofﬁce located in Dutton. Networking opportunities through the Ambassador Program allow businesses to connect to the community. Marketing and promotion assistance raise the proﬁle of new and existing businesses in the region.